2018 Ford F-250SD XLT NON SMOKER, CLEAN VEHICLE HISTORY...NO ACCIDENTS, ABS brakes, Compass, Electronic Stability Control, GVWR: 10,000 lb Payload Package, Heated door mirrors, Illuminated entry, Low tire pressure warning, Remote keyless entry, Traction control. 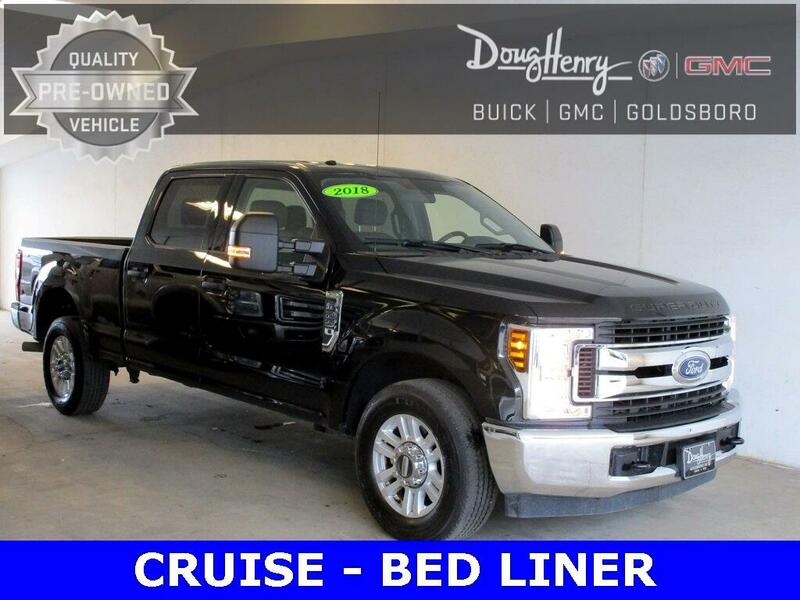 Take a moment to stop by and see if this is the vehicle that best meets your needs. Located at 709 HWY 70 Bypass East in Goldsboro, directly beside Pizza Inn. Ask one of our trained professionals about a vehicle demonstration and test drive. 6.2L V8 EFI SOHC 16V Flex Fuel 4D Crew Cab RWD Odometer is 4264 miles below market average!